It wasn't too long ago I performed a leak check on a couple of large chillers. I used my Testo 316-3 electronic leak detector for the inspection. I found no significant leaks, but what I did find was interesting, with all service caps in place, many Schrader core valves registered a positive reading, they were leaking. All the cores and caps were replaced. I was back at the site a couple of weeks later and found that many of those new Schrader cores were setting off my 316-3 even with the caps in place, they were the round brass caps with rubber o - ring insert. 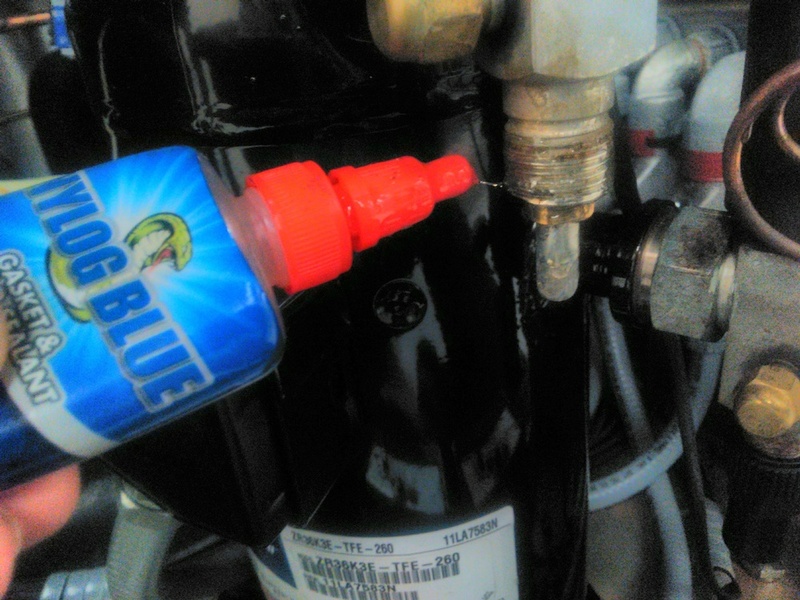 I applied Nylog Blue to a few of these fittings, hand tightened the caps and the leaks disappeared. Now, I apply Nylog to all service caps before re-installing. TX valve caps, hot gas bypass, solenoids, valve stems, ORI valve caps, etc.